How many times I have wondered how my hairbrush collects so much dirt although I clean it after every use. I used to keep it in a drawer so that it doesn’t get dust, but I can still see it gets dirty pretty soon. A friend of mine told me that this dust comes from our hair and I guess she’s right. 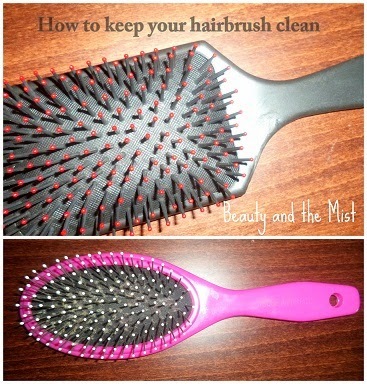 I have seen on blogs ways about how to clean your hairbrushes, but to be honest with you I am a little lazy and I was looking for an easy solution. Fortunately, I have come up with an idea and this way I keep my hairbrush clean. All I need is one euro. Do you want to know how I transformed this pink dirty hairbrush to this new clean one? I simply bought a new one! You know I’m a funny girl, so I hope you can excuse some silliness today!